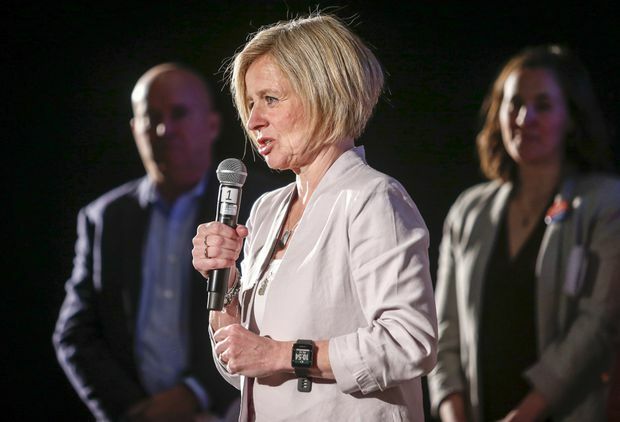 With the Alberta election campaign in its final days, NDP Leader Rachel Notley launched another attack on the integrity of the United Conservative’s Jason Kenney at a raucous rally in Calgary. Kenney, a former federal Conservative cabinet minister, is Notley’s main rival in Tuesday’s vote. “We’ve made sure Albertans know exactly who Jason Kenney is and we’ve made sure they know the risk that he presents to Calgary because those risks are real,” Notley said Saturday to about 400 screaming supporters as many chanted “four more years” during her speech. Notley has pledged that if she’s re-elected premier, she would offer an honest, scandal-free government that would diversify the economy, build a pipeline and defend public services. The UCP issued a statement saying the RCMP had not contacted the party or Singh regarding the investigation but had been in contact with Singh’s son. “It is quite striking and shocking to me that Mr. Singh is still a candidate for the UCP,” Notley said. Notley told reporters she knows the campaign has been negative but isn’t apologizing for it. “These are things that people need to know about. I wish it wasn’t so negative but at the end of the day I think these are things that people need to consider,” she said. The NDP isn’t without controversy. Two members of Notley’s caucus have been accused of inappropriate behaviour since 2015 and, following independent investigations and the adoption of recommendations, the names of the politicians were not made public to protect the privacy of the complainants. “I can’t answer that,” she replied. He didn’t mention the RCMP’s search of Singh’s business. “You’re Albertans by choice and not chance. You or your parents came here to pursue opportunity,” Kenney said.